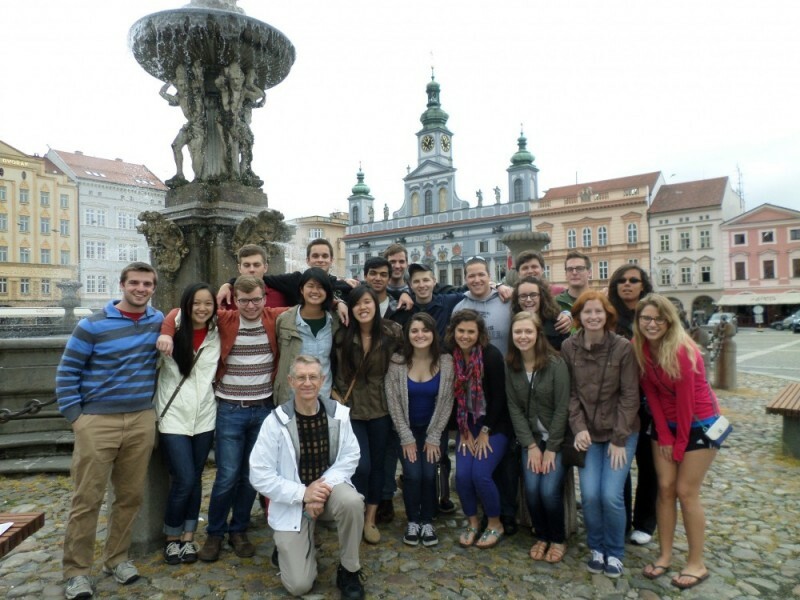 The Civil, Construction, and Environmental Engineering Department provides a summer study abroad program. The objective of doing so is to provide students with international experiences that encompass travel, culture, language, and people while providing NCSU CCEE course credit. Participating in study abroad empowers students personally and increases confidence in what can be achieved (live in another country, navigate and travel, communicate and understand, see sights, develop personal plans, etc.). It expands student world horizons and provides one of the best possible life experiences. It is also important to note that future potential employers want to hire students who participate in Study Abroad programs because doing so demonstrates courage and willingness to accept challenges, to step forward, to deal with the unknown, and to engage in new activities. The civil engineering department at NCSU has hosted numerous successful previous study abroad programs in Nanjing, China (2009), Adelaide and Brisbane, Australia (2010), Hong Kong and Nanjing, China (2012), and also in Prague, Czech Republic (2014, 2016, 2017, 2018). In 2019 the CCEE Department will visit Ireland, affording students with the opportunity to see the lush green Irish plains and rocky sea coast while earning 6 credits toward their degree. A number of interesting locations are under consideration for the future. These may include Sansepulcro, Italy; London, England; Adelaide, Australia; and Munich, Germany in the heart of Bavaria near the Austrian Alps. Depending on student and faculty interest other locations could be considered as well. Contact Dr. William Rasdorf for more detailed information regarding the sequence and location of future planned destinations. It is expected that the program will be offered every year depending on student demand. Typically 2 classes will be offered during each program, affording the student to obtain 6 hours of civil engineering course credit. Past courses include the following. Interested students are encouraged to talk with the Study Abroad Program participating faculty (both past and current) to obtain further information. It is especially important to carefully consider the courses that are typically offered so that you can prepare your schedule to have all of the necessary prerequisites. Note that the program most often fits within the NCSU first summer session beginning about mid-May and ending mid to end of June depending on the program length (typically either 4 or 6 weeks).